This pack contains 29 HD photos of plants and flowers with resell rights which gives you the option to use these photos for your own needs or for your clients’. It’s not easy finding high quality photos with no copyrights attached. The other option would be to purchase royalty free images from professional stock photo sites but it can be costly. And that’s for a single image. 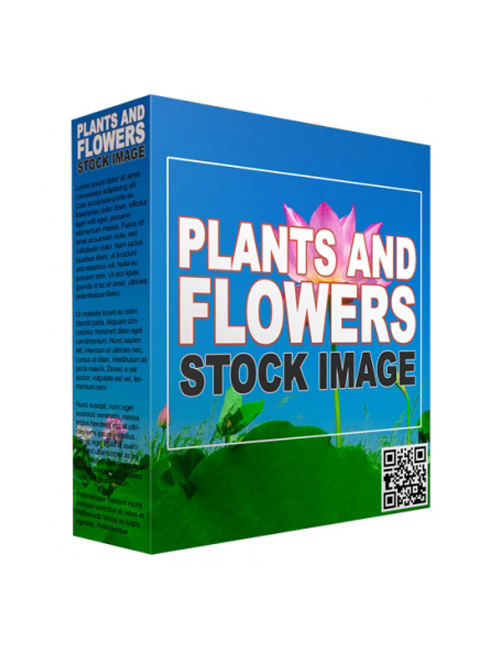 With this pack you get a whole lot of great and professionally developed images which is useful if you’re running a flowers/plants site or blog. Visuals help gain more views and likes leading to more potential customers. Why do you think Pinterest and Instagram are so huge? They’re image heavy sites and people love images. That’s why you need to consider using more visual content in your work, be it your blog or marketing campaigns or presentations. When you combine both text with images, you get more views. Those who say that images don’t matter aren’t familiar with how the internet works nor familiar with what people want. Take it from any smart and successful marketer. Images matter. So grab this pack now.